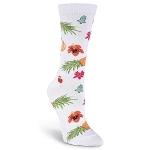 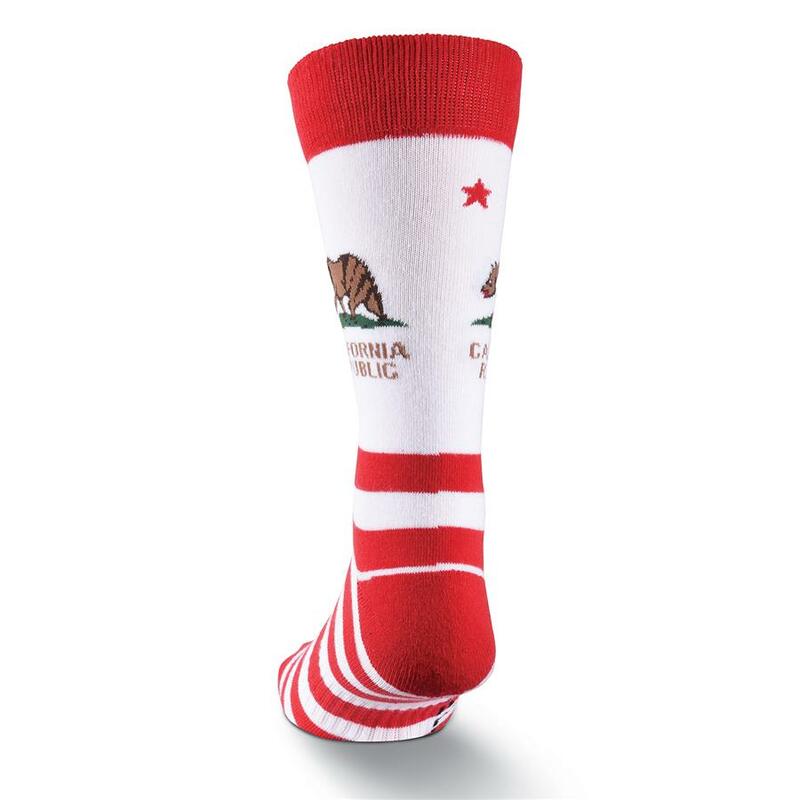 These CA Republic women's crew socks are truly meant for Californians. 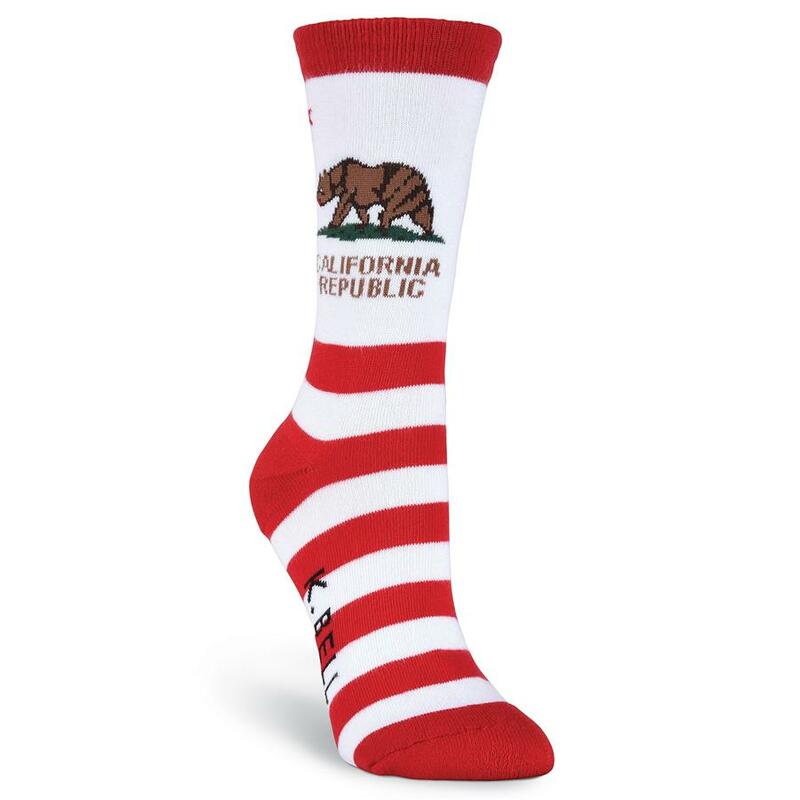 This pair of crew socks for women feature an allover striped pattern and red trim, plus a California Republic bear graphic on the leg. Made from a soft blend, they're the perfect fashion socks for any fans of the Golden State. 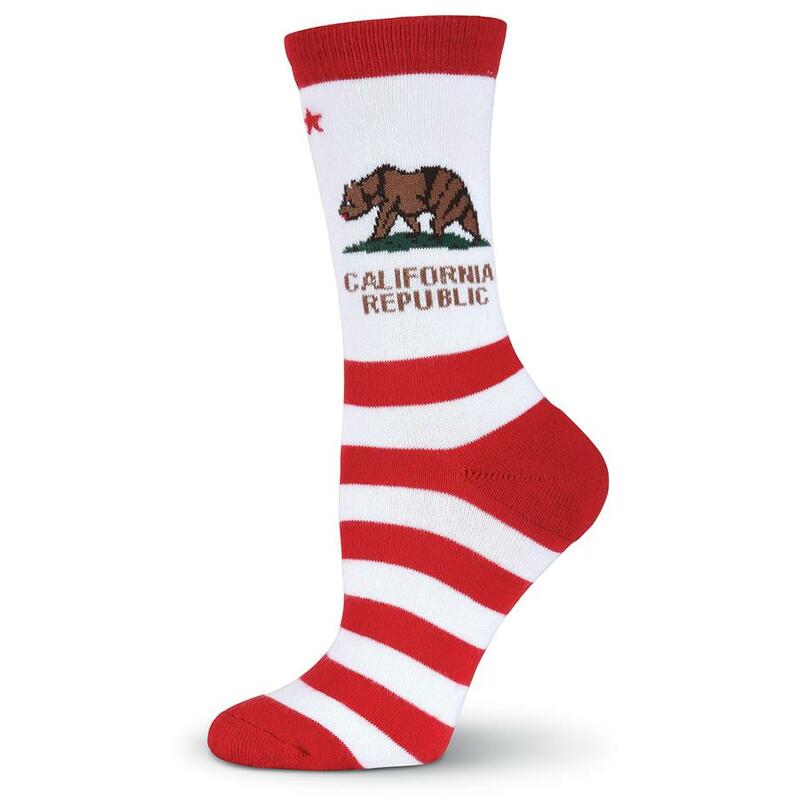 85% Cotton, 10% Nylon, 3% Spandex, 2% Rubber.